Oh my, the week went by really fast. Last time we met Kiriya. This week I’ll post a snippet of the same scene but from Melker’s perspective, from his novella. And no, the greasy haired one is not Kiriya, that’s a third character that Kiriya didn’t mention. XD; Kiriya is “the tall guy”…and oh, all three of these characters are male. The tall guy stepped away from me and hurried towards the room he must’ve chosen for himself. Muttering to myself, I dragged my feet to the stairs. How was I going to be able to live with these people if they refused to interact with me? Not the friendliest bunch ever. Looking forward to finding out why interaction and conversation are so important. Maybe he’s worried about clashing colors. Great descriptive writing. I like the detail you included about the labret. Well, these guys are not off to a good start. Love the all-black description! Definitely not a good start XD …thank you! Love the snarky inner dialogue. Gives a nice insight into character. Interesting snippet, vivid description. 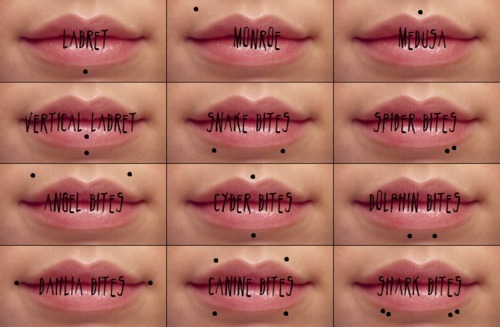 I had go look up ‘labret’ so I’ve learned something today too! You painted quite a picture. Good writing with humor. My favorite. Sounds like it’s going to be an interesting living situation. I hope it does get better. Not friendly at all, are they? Enjoyed the snippet. Great imagery. I, too, looked up labret piercing. Didn’t know that’s what it’s called. Anyway, I hope she finds more friendly folks. Definitely not a warm welcome. Poor guy. A wonderful visual of the characters. Living arrangements sound…interesting. Good description of the man from mad vs glad. I’m cracking up at the labret squad above. As the mom of a nose and belly button pierced daughter a decade ago, I put my foot down a few times over labret…so had earlier referencing. LOL! Well this is quite a strange bunch. They all seem to be real characters. The guy all in black didn’t freak me out too much since a lot of people affect all black clothing. But unfriendly is something else. Looking forward to more info on them all. I almost found myself envisioning him as a ghost whom none of his roommates can see. Who’d want to live with them, LOL. You did a great job portraying them. Maybe he should enjoy the non-interaction time- these guys don’t sound like they’ll be a lot of fun. I’m interested to find out why they’re all there. Interesting room-mates. Good use of actions/reactions to show character. Poor Melkor. Talk about awkward first impressions. I love the change in tone and voice between Melkor and Kiriya. Kiriya’s being more poetic and Melkor’s being more straightforward. I love black so wasn’t weirded out at all, hehehe. Although, I was wondering, how does she know he’s wearing black socks? Is he barefoot? I also had to look up the word labret, hehe I liked the interaction between the characters- they’re not exactly friendly, eh? Great snippet! Well, they both have their reasons for being unfriendly but I still feel a bit sorry for Melker. XD Thank you!